When first generation K-pop boy band H.O.T. reunited earlier this year after 17 years away, it was a big deal. Never mind that no one expected the legendary group to ever reunite, but to do it to such praise and acclaim was something else entirely. 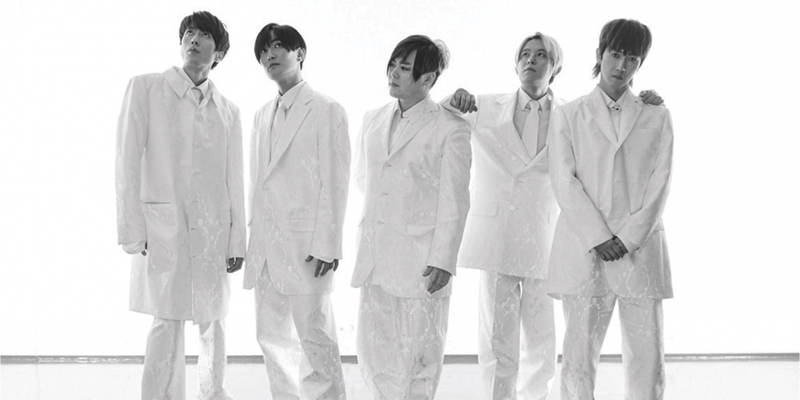 Decked in white and armed with the iconic white balloons (remember, they are from an age before lightsticks), longtime fans known as White Angels converged for the Infinite Challenge broadcast of their faves and promptly lost their minds. After all, how often does a K-pop group actually get to reunite and perform? H.O.T., which does not stand for “hot,” but rather “High-five of Teenagers,” debuted in 1996. The group consists of Moon Hee Jun, Jang Woo Hyuk, Tony Ahn, Kangta and Lee Jae Won, and together they put out five iconic albums. This was before the main Hallyu craze swept Asia, let alone the rest of the world. This was before Google and YouTube. Yet H.O.T. still made a huge impression, and essentially created the model of the K-pop boy band with their matching outfits, synchronized dance moves and attractive looks coupled with outlandish hair. Really, they were the first K-pop boy band. Well, it seems that the Infinite Challenge reunion was successful, because H.O.T. is coming back for a concert this month. This will be the first official spectacle since the group held a concert all the way back in 2001 when they broke up. While it’s unclear what the concert will be, fans are already plenty excited. It’s unlikely that a reformation of the group will permanently occur. All of the members have had many years of solo work or simply living out their post-K-pop lives, yet new songs are a rumored possibility. Even if that proves to not be the case, a full concert of the old hits like “Candy,” “Warrior’s Descendant,” “I Yah!” and “Hope,” is hardly a bad time. H.O.T. is looked up to by many other K-pop groups, so one has to wonder if there will be any special guests or attendees at the concert itself. Regardless, it’s a great moment for the members to have the chance to perform again as a unit. It’s wonderful for fans as well who never thought the showcase on Infinite Challenge would be a thing, never mind getting a full concert. We’ll see what this means for H.O.T., as a successful concert tends to lead to other things. Stay tuned White Angels, you never know!